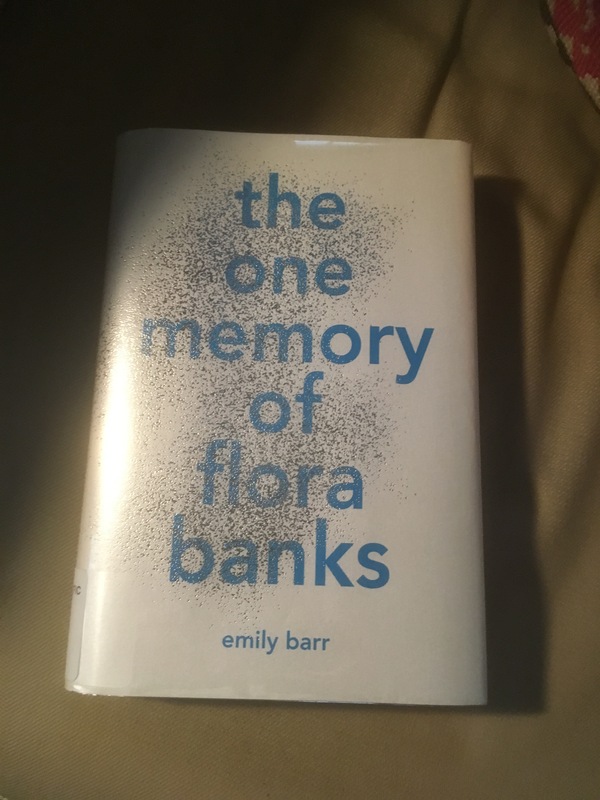 I read The One Memory of Flora Banks (Author: Emily Barr at www.emilybarr.com) last weekend when I was on call at the Children’s Hospital of Eastern Ontario. On a day when I was providing service to a busy emergency room, it grounded me to be considering the plight of a young person who had suffered considerable trauma and had lost her memory because of it. This is the adventure of a 17 year old girl named Flora Banks who has anterograde amnesia, which means that she cannot remember anything that happened after the event which caused the amnesia. To help her manage her life, Flora writes down every important thing that she must remember. Many, many things she wants to remember are written into notebooks, but the most important things are written on her hands. Of the important messages, one is prominent and it is a tattoo that says: Flora be brave. Flora’s memory problems, we are told at the beginning, are the result of a brain tumour that was removed at age 10. The book is written in Flora’s voice and so the reader can experience what it is like to live inside Flora’s brain. To an observer, it would seem as though Flora has lost a lot of her capacity. But from inside Flora’s brain, the reader realizes that this is not the case. One of the most important messages of this book is never to underestimate a person’s abilities. Even though Flora is capable of more than is evident, she is very hopeless about what she has lost and worries about what her life holds. One evening this changes when a boy kisses her and Flora remembers this kiss for longer than her usual several hours. Immediately, Flora is hopeful that this boy, or his love, holds the answer to her regaining a functional memory. She sets off to find him, despite the limitations of her memory and without anyone supporting her. There are many days in my work as a psychiatrist for youth that I see young people coping with having a chronic medical condition that could limit what they might achieve. Like Flora, they have periods of hopelessness when they sadly wonder what their lives will bring. But many of them, like Flora, refuse to be defeated by despair. I don’t care if they disagree with me about their medications, or their symptoms or their diagnosis. I hope that I am true to the spirit of hope that lives in them, and I work to be worthy of that positivity. This is an important book because we can all benefit by knowing Flora. Not all of the people who love Flora trust her hope any longer, but she meets a lot of new people in her voyage to find love and her memory and they do trust Flora’s hope. Please read about Flora and resolve to help at least one person stay hopeful. ← Game of Thrones Madness?